With over 1 million followers, Instagram star Trotter (@Trotterpup) offered her celebrity to help Paypal pull off a fun social media promotion with a goal to bring awareness to animal rescue causes and fundraise for the participating animal welfare organizations. I was ecstatic to get the email from Paypal's PR rep from Edelman Digital, Andi Teggart, pitching this fun social media campaign to Muttville Senior Dog Rescue. What a great opportunity for Muttville to gain exposure to new audiences and millions of people! Trotter was charming and professional, plus very polite to her elders during the visit at Muttville's headquarters in San Francisco. Just check out these photos taken by Trotter's mom Sonya. See more great pics on Paypal's Instagram account @Paypal, and more from @Trotterpup. 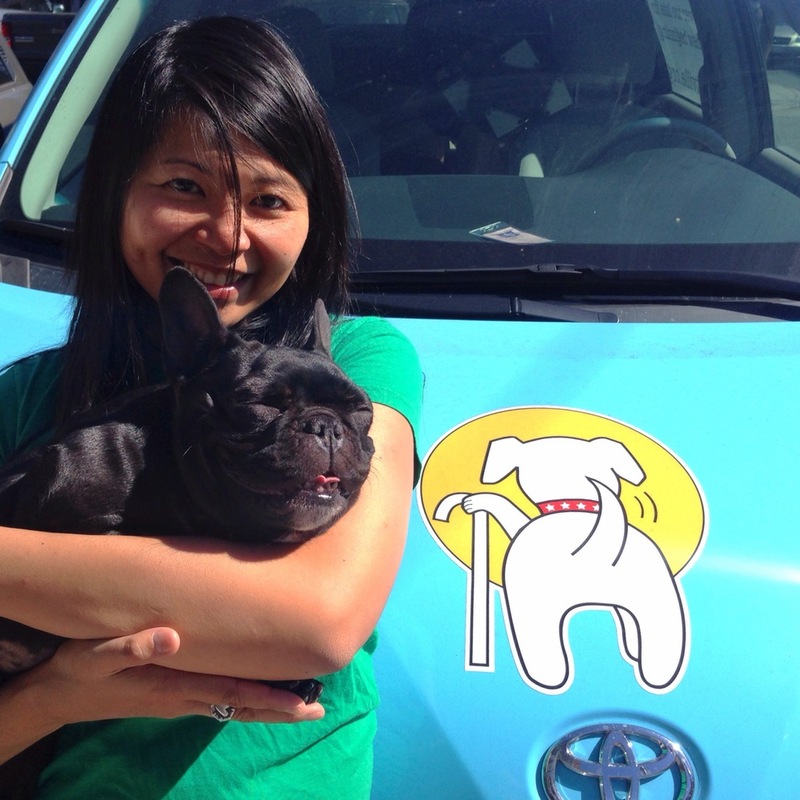 Paypal interviewed me as Muttville's Marketing Director for its blog article on this campaign. Read Paypal's blog article featuring my Q&A, along with fellow SF rescue, Northern California Family Dog Rescue. Fun photos below! Click the photo to see the next one. Holiday Fundraising Messages to AVOID! Thank you for the good warning from Network For Good's Caryn Stein! I'm sure many of us are guilty of a few holiday cliches! Making me feel guilty about my daily coffee: The classic line of forgoing a daily latte to make a donation is often used to illustrate how easy it can be to find a way to give a little and have it add up to a lot. However, the world is certainly not going to be a better place if I skip my coffee (trust me), and I want to be inspired to give, not guilted. Let me give my donation in a happy, caffeinated state and leave Starbucks (and guilt) out of it. Putting a snowman on it. (Or reindeer. Or fir trees. ): Unless you are actually working to save snowmen, reindeer, fir trees -- or any other emblem of the winter holidays, avoid featuring any of these as the star of your fundraising appeal. The best use of an image is showing me a real photo of the people or animals my donation will help. Bonus: Avoiding the traditional clip art will also help your appeals stand out from the crowd! Using too many shopping metaphors. Unless you can clearly tie the idea of shopping to giving the gift of charity, specific impact levels or a holiday giving catalog, consider leaving the shopping to the mall. Giving a donation is a highly personal and emotional act; don’t take me out of the moment by overusing phrases like: "buy now", "holiday shopping" and "shopping list". Your best bet to get me to donate to your cause in December? Tell a great story, stick to the point and clearly tell me what I can do to help.